Perfect for bathtubs, showers, hot tubs, boats and stairs.Our antimicrobial formula inhibits the growth of mold. Easy to install and clean. Reliable grip, year after year. Color: clear. Intended primarily for use on porcelain, fiberglass, stone and wood surfaces. When non-slip safety is of the most importance, come to SlipX Solutions. 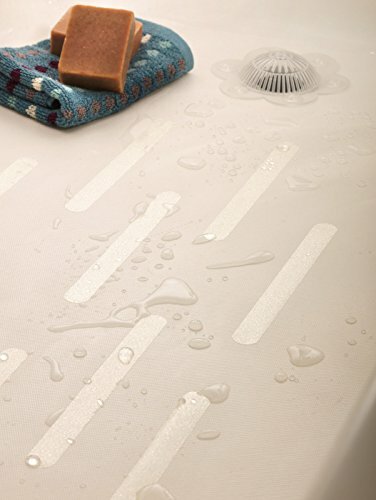 Our 14.5 inch non-slip bathtub treads use incredibly sticky adhesive and last for many years. 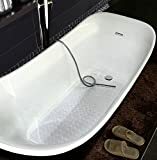 These safety treads aren't just for the bath, they're perfect for shower stalls, indoor or outdoor stair cases and hot tubs. Anywhere you need extra traction, you can count on our treads.